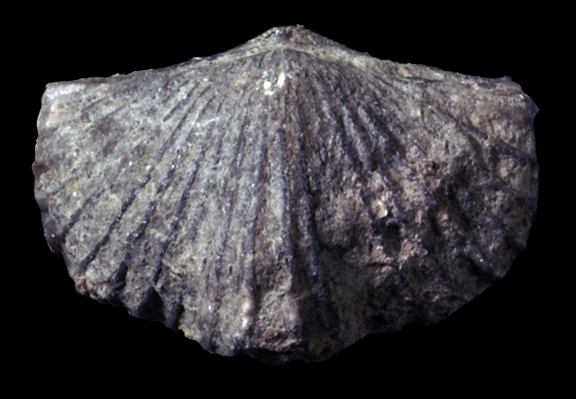 Platystrophia is a common fossil that occurs in many species and sizes throught the Ordovician. 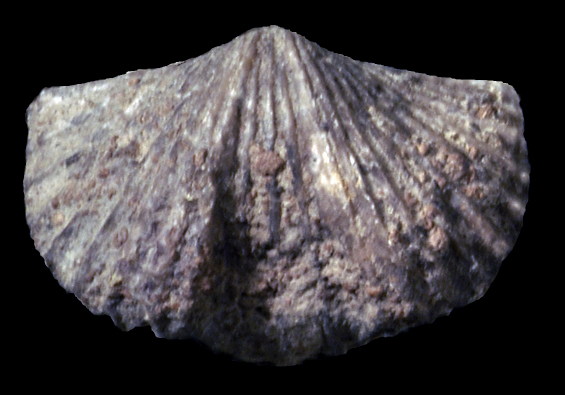 Over 150 different species of Platystrophia have been described, but detailed classification requires sectioning to study aspects of the internal valve articulations. 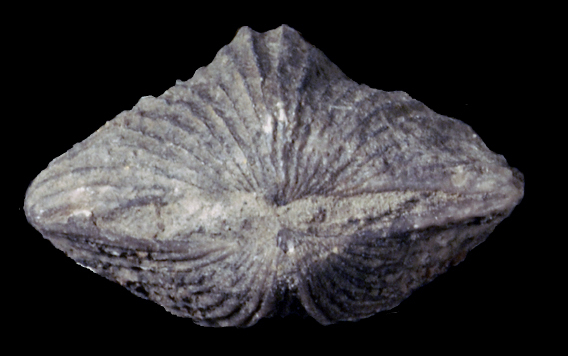 Under newer nomenclature proposed in 2007, this fossil would probably be classified as Vinlandostrophia ponderosa. There are four plications on the central fold, and seven to nine on the lateral sides. Click here for detailed information on Platystrophia.